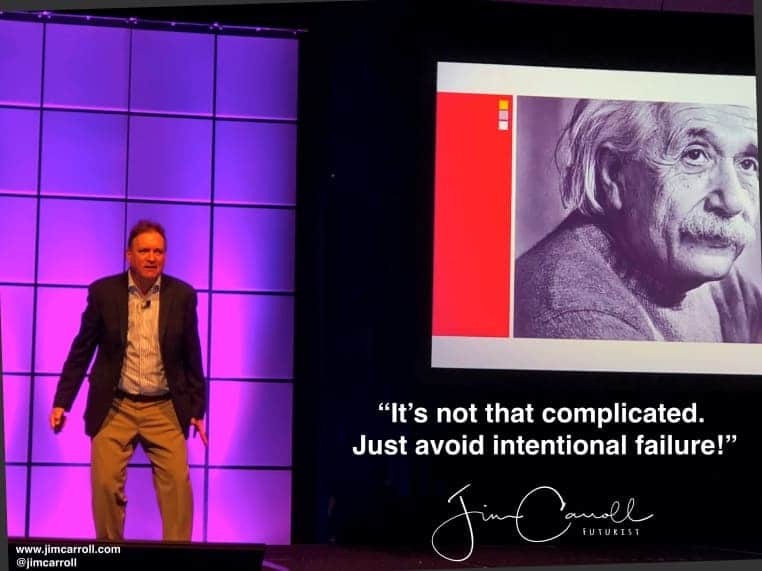 ‘’ Everyone knows the phrase by Einstein – “Insanity is doing the same thing over and over again, and expecting a different result each time.” I’ll often refer to this quote while on stage, even though I know mostly everyone in the room has it ingrained in their minds. Even so, many people ignore the inherent wisdom and beauty built into the phrase. If everything around you is changing at a furious pace, why would you keep doing what you’ve done in the past? It likely won’t work! The attitude that you carry into each and every day defines your soul.